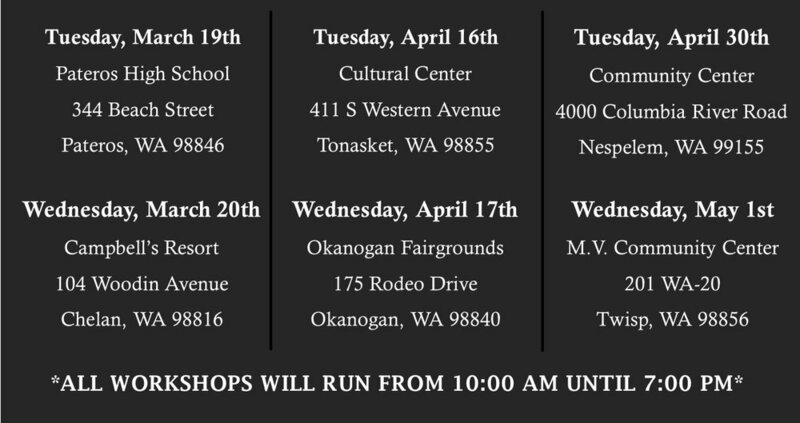 The Okanogan County long term recovery group is partnering with the american red cross to host six “fire Strong” workshops throughout Okanogan and Chelan counties. The workshops will include presentations, programming, displays, and more provided by various fire-related organizations around the area. community members are welcome and encouraged to attend to see what resources are available to them - all in one place! we want to help this community become more fire resilient! Below is a complete schedule of the workshops. All workshops are free to the public and will include the same resources and information. Come to whichever one works best for you! **Community members hoping to attend the event DO NOT need to register. Only register if you would like your agency/organization to present.